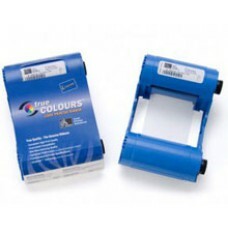 Zebra ID Card Ribbon - I Series Full Color 6 Panel (YMCKOK) Ribbon with cleaning roller, 165 images. This ribbon is used to print text and full color images on one side and black on the back side of the card. Compatible with the P120i ID card Printer.